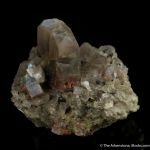 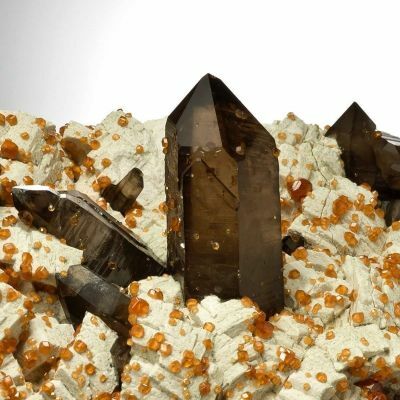 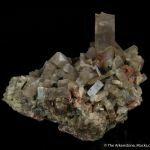 I love crystallized feldspars! 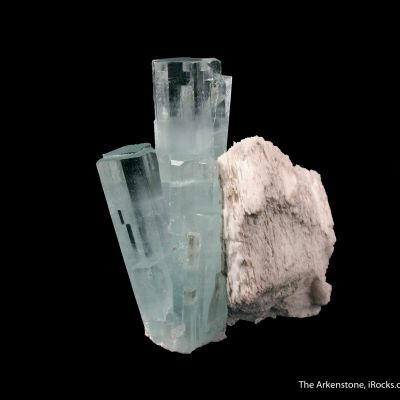 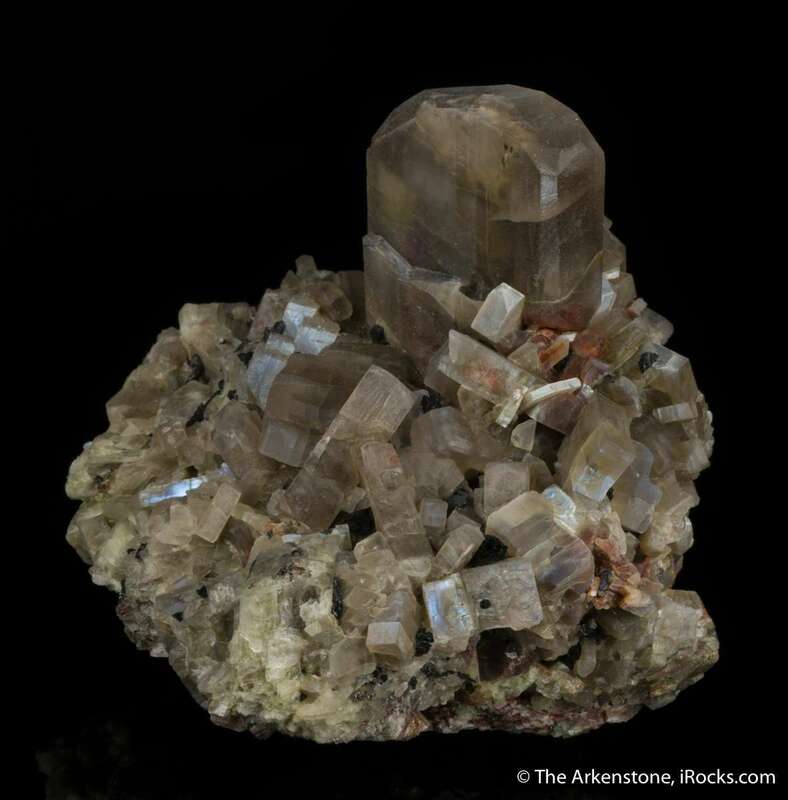 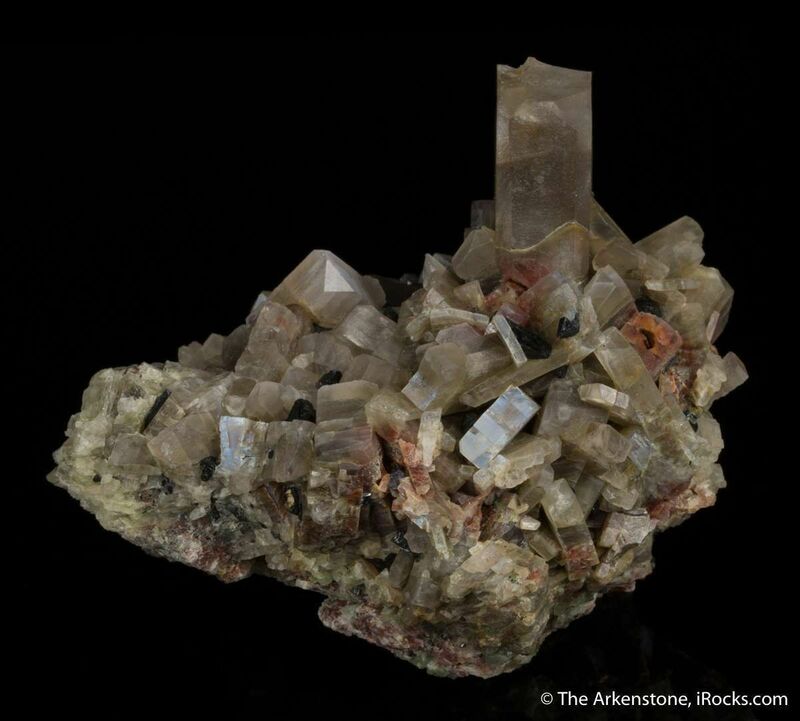 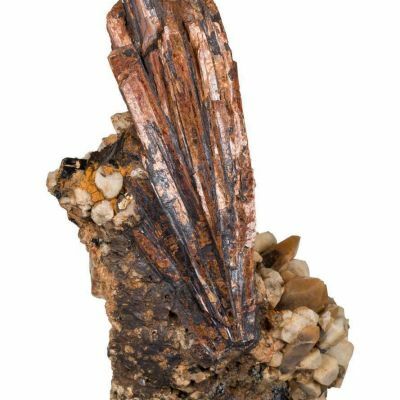 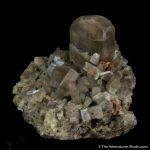 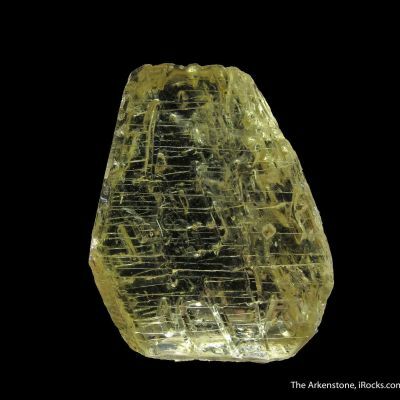 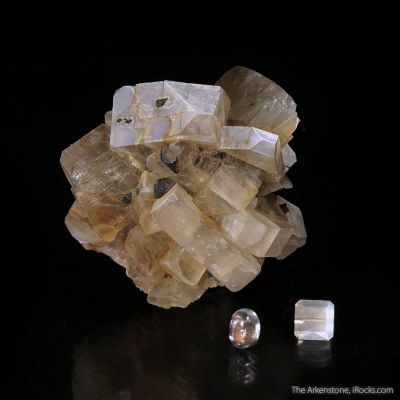 But, so few make worthy specimens on their own, as opposed to being the matrix for other minerals we value higher. 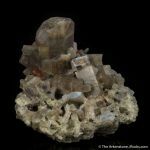 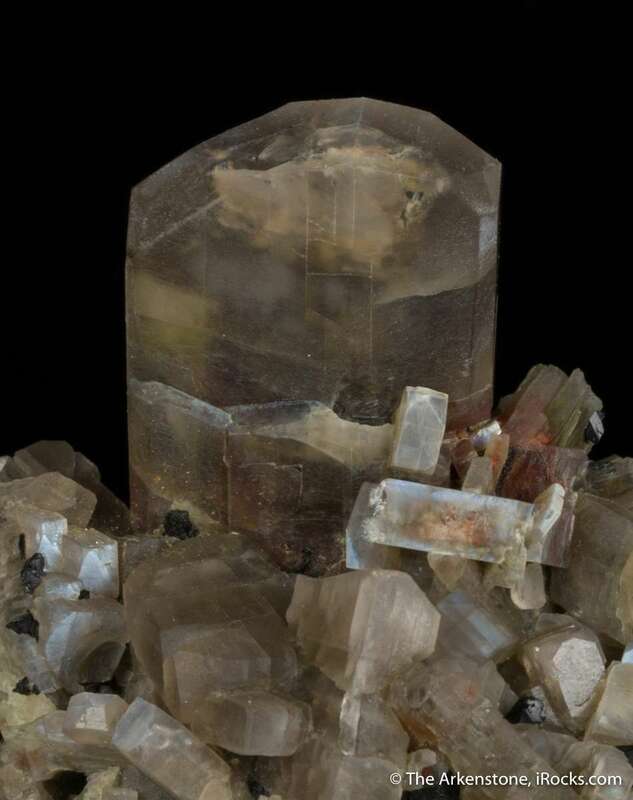 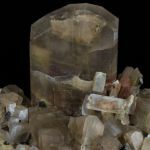 Moonstone, or the colorful variety of oligoclase feldspar, is one of those things that almost never pops up as crystals for the specimen collector (only from a few locales in the world). 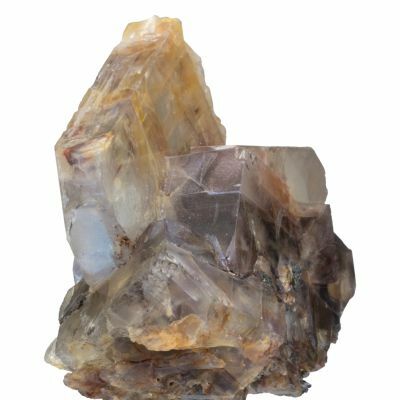 This is probably the most famous of them, and many came out with Benny Fenn in the 1990s but now they are nowhere to be seen on the marketplace. 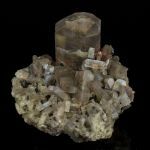 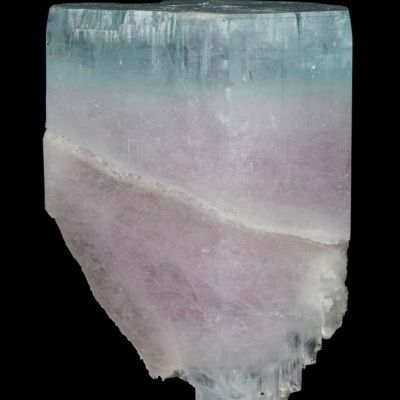 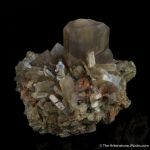 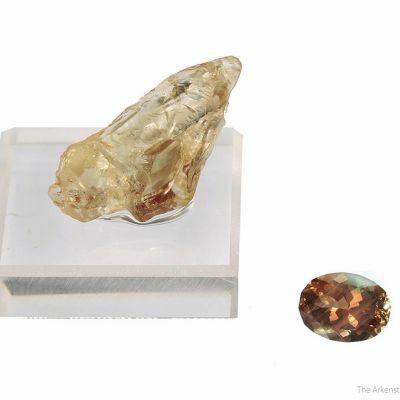 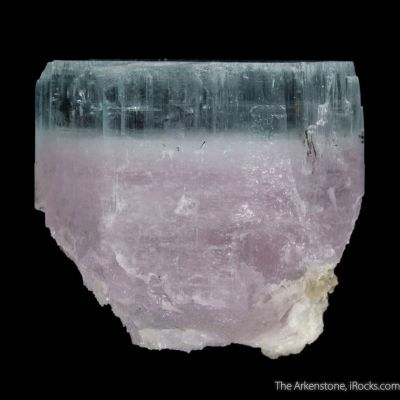 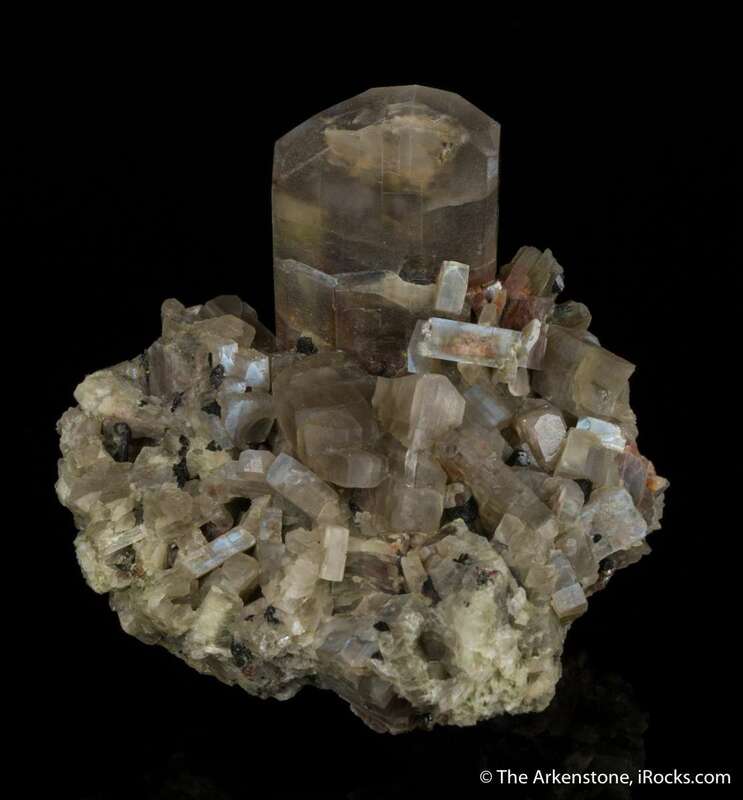 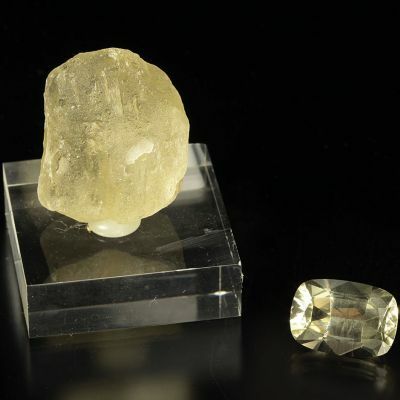 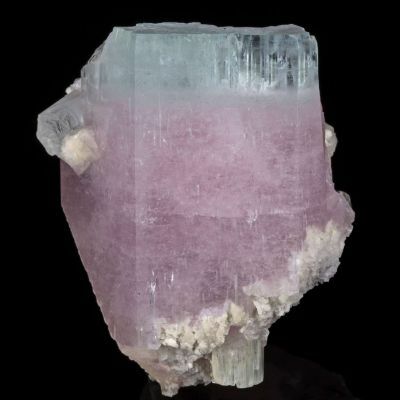 This piece hosts a dominant large crystal of 3.5 x 2.5 x 1 cm, which is significantly large and fine for the material. It is complete all around, and undamaged, standing proud in a cluster! 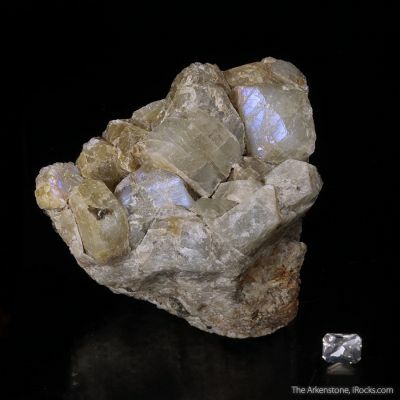 Moonstone shows a silvery or bluish iridescence, sometimes called "adularescence," and it is obvious and present on this piece but more evident in person because the camera lens does not pick up the refractions of light as the human eye does.